If you are one of our regular blog readers, you are already aware of the fact that we love all there is to know about home networks. We love the convenience of a Wi-Fi network, but we also love the speed and reliability of a classic, wired-based network. But is there more to it than what meets the eye? Let’s find out! Wired LANs utilize Ethernet cables. Back in the day, people used to connect two computers through a modified Ethernet cable, called a crossover cable. Mostly for network gaming purposes, of course ;). Basically, you had to switch the send and receive wires (two pairs) at one end of the cable, and that was all! That system was really easy to set up and use, but it didn’t allow the network to be extended on more than two computers. If you wanted to connect more PCs, you had to choose a different solution. That’s why regular networks need a central device, be it a router, a switch, a hub, etc. To set up a wired network, you will need to run an Ethernet cable from the central device to each computer. Sometimes it can be difficult to position these cables and make the end result look nice at the same time. 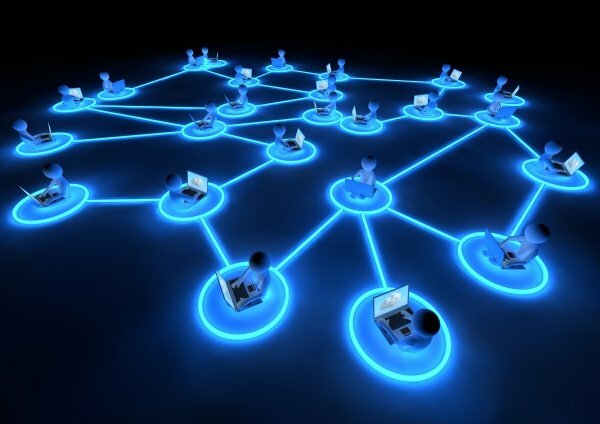 The problem is especially difficult if the network consists of several computers that are located in different rooms. The good news is that the required hardware equipment is inexpensive. And once you’ve got the wires in place, it is easy to set up the wired network. All the modern operating systems are able to supply the needed drivers, along with support for standard Internet protocols. Wired LANs are known for their fast speeds, which can reach up to 1 Gbps. That’s enough speed to stream even 4K videos without losing a frame! If you are looking for a lag-free Internet connection that’s also fit for fast action online games, for example, you will want your computer to be connected to a wired network. But what about reliability? From our experience, most routers are reliable, especially if you pick a brand that’s known for its high quality products. Still, we’ve seen quite a few poorly built, unreliable Ethernet cables, so be sure to invest into good quality cables, even if they will cost you an extra buck per piece. Just like wired LANs, wireless LANs can be configured to work using a peer-to-peer mode, or they can use a central wireless device – a router – which governs communication in the network. 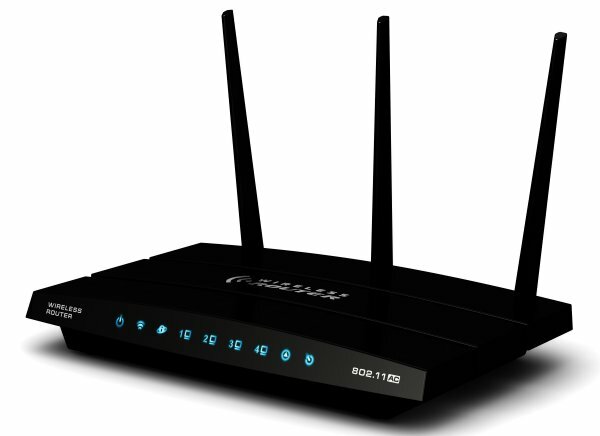 To set up a wireless network, you will need a Wi-Fi router and several wireless network adapters. Of course, if one of your computers is a modern laptop, for example, it already has a Wi-Fi card built into it. The same goes for other wireless devices, for example tablets and smartphones, which can’t be connected to a wired network without purchasing additional hardware. It is important to understand that Wi-Fi transmitters have a range of about 100 feet. That’s the ideal scenario, by the way. Interference with other electronic devices in the area, walls and furniture can greatly diminish the Wi-Fi signal range. To solve this problem, you may need one or two access points and a couple of high gain, good quality antennas. Wireless equipment is often times more expensive in comparison with the hardware devices that are needed for a wired network. As you can imagine, the performance of a Wi-Fi network is distance sensitive; speed decreases as you move away from the router. Ideally, you can get about a fifth of the maximum speed that’s achievable with a wired LAN. The latency of Wi-Fi networks isn’t great either. If you want to build a network for gaming purposes, you’d better go for wired one. Wireless networks are less secure in comparison with wired LANs. Experience shows that the WEP encryption protocol can be easily broken, and the same thing can happen for WPA (and, in some cases, even WPA2) if the evildoers have got the needed equipment and time at their disposal. This shouldn’t scare you, though – if you are a regular home user. But if you plan to use a Wi-Fi network for your business, it’s best to purchase a hardware-based firewall and hire an IT consultant who knows how to keep the bad people away from you network. Now that I think about it, I believe that I have painted wireless networks into a darker color. But this doesn’t mean that you should avoid them! A Wi-Fi network is always the best solution if the idea of setting up wires that run across your home (or office building) bothers you. It’s also perfect if you plan to connect tablets and smartphones to your network. On the other hand, if the two things mentioned above don’t apply to you, a wired network will help you get the maximum performance and security, while saving you money.